Sony just slashed the ticket price of the exclusive high-resolution audio club with its cheapest HR Walkman to date. Small enough for your top pocket, with NFC connectivity and superior sound, can an MP3 player fend off the smartphones? 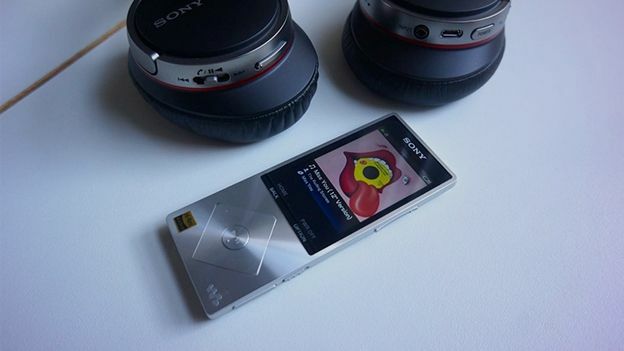 Find out in our Sony Walkman NWZ-A15 review. From vinyl, to CD to MP3, the market has always chosen convenience over quality, so by pushing high-resolution audio, it looks like Sony is onto looser here. And if the world of lossless music formats wasn't confusing enough for the consumer, selling a separate playback device to the smartphone generation is going to be an even tougher pitch. Nonetheless, as the smallest, lightest and cheapest device to date, the Sony Walkman NWZ-A15 could be the player that takes high-resolution audio to the masses. It's certainly a very different price point from the £1,000 Astell & Kern AK120 II and thanks to a microSD slot it is better equipped than Sony's own Walkman NWZ-F886. And while Sony's previous entry-level device failed to convince us put down our iPhone 5, the NWZ-A15 has the style, skills and price tag to justify carrying a separate gadget. Being smaller than any smartphone at 44 x 109 x 9mm gives this Walkman the advantage of true shirt-pocket portability and weighing just 66g means you will never begrudge taking it along for the ride. It also looks rather appealing in its steel casing with a colour display showing album artwork and scrolling song lyrics. What isn't clear from the pictures is that it also feels a little insubstantial making the fairly low £149 price point seem about right. Compared to Sony's other Android based Walkmen, the NWZ-A15 has very few features, but this is a good thing. The way we see it, a dedicated music player aimed at audiophiles should not be able to play Angry Birds or Tweet messages. Let's assume anyone interested in high-resolution audio already has a smartphone for that kind of thing. Less is more, and this Walkman is primarily a music player, although it can also play JPEGs, video, podcasts and has a pretty good FM radio built in. However, it's worth noting that the display is not a touchscreen and it feels a little old fashioned, if not downright frustrating to use the keypad to move through playlists. But if this is what it takes to keep the price down, then so be it. One key feature of the Sony Walkman NWZ-A15, missing from the more expensive model is a microSD slot. This is crucial because the internal memory is only 16GB and uncompressed audio files take up to ten times as much room as an MP3. Our 64GB card worked perfectly and Sony reckons 128GB capacity cards are not a problem either. Add Bluetooth, with AptX and NFC (near field communication) and you have a well-featured player that connects readily with Bluetooth, or high-resolution speakers like the Sony SRS-X9. There's also a USB data cable for making wired connections. Unsurprisingly, headphones are not included, but the relatively low cost of the player (compared to the Anders & Kern for instance) will hopefully leave you some budget to blow on decent high-resolution cans like the wireless Sony MDR-10RBT used here. What you really want to know is how good this thing sounds, because you already have a phone that can play your music pretty well right? Well what your phone probably can't do, unless it's a Sony Xperia Z3, or the LG G2, is play FLAC, AIFF and ALAC files without converting them first. Even your iPhone 6 running a Flac Player app, has to downsample the music before it reaches your headphones. Well, we can confirm that high-resolution audio files do sound superior on this device when compared to a much more expensive smartphone and there's a reason for it. The FLAC files we chose to test with were sampled at a higher frequency in the mastering studio and not compressed for CD, or MP3, so there's a lot more music data available. To hear the difference, you need hardware that can reach this extended frequency range and the NWZ-A15 with a pair of wireless Sony MDR-10RBT will do just that. Try a blind listening test using the MP3 release of Daft Punk's Get Lucky and the slightly more expensive FLAC file of the same single and difference is a revelation. There's more depth to the bass and generally a better sense of separation between the synthesised sounds. Try some classical pieces and you'll find the orchestra appears to sit on a more open soundstage. Inside that metallic slither is Sony's S-Master HX digital amplifier, which is able to reduce the unwanted noise you tend to get in the very high frequency range, so the difference is fairly clear. It's also an advantage when playing regular MP3 too because Sony has an algorithm to boost those frequemcies so that they sound less compressed. We found this feature, called DSEE HX, has mixed success depending on the MP3 files which vary widely in quality. Battery life is impressive with 30 hours of playback (or 50 if you stick to less challenging MP3 files) and that's all battery juice that you are not squeezing from your phone. In short, this high-resolution player has an unfair advantage over your smartphone, which simply cannot reach the additional music data available with uncompressed FLAC, ALAC and AIFF files and the Sony Walkman NWZ-A15 exploits its sonic superiority to the full. So if you are a confirmed audiophile snob who doesn't mind carrying a dedicated device and putting up with a non-touchscreen interface and you cannot wait for the next generation of high-resolution smartphones, the Sony Walkman NWZ-A15 is made for you.